This was the world’s first nuclear submarine when ‘atomic’ was the big buzz-word, so a 1950s boy just had to have it. Revell’s Nautilus had a large pod behind the sail (or conning tower) and a Loon cruise missile, which was an upgraded US version of the World War 2 German V-1 ‘doodlebug’. This was a bit odd, as the real sub never had this feature at all. No matter, at the time it looked suitably aggressive. The concept alone sold this to me - a car with double-bubble canopies, just like the Anastasia personal spacecraft flown by my comic-book hero, Dan Dare. The real thing was hand-built by Ghia in Italy and did the show-car circuit; later it was the genesis for the Batman TV series. Ah, the days of sail! 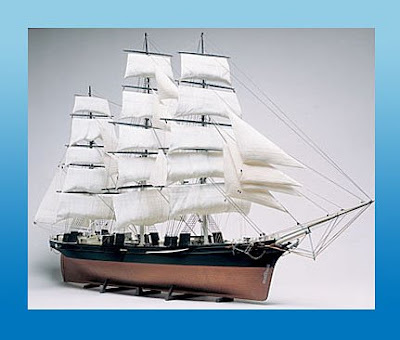 Revell’s beauty was a stunner, and the beautifully detailed hull really set it off. Sad to say, it would NOT stay upright in water, ending its days capsized on a pond, being pounded by pebbles and stones thrown by... yes, you guessed it, me and my pals. To my eyes the Boeing Bomarc interceptor missile looked more like a sci-fi rocket, and I built it as such, finished in gleaming silver, sitting on an alien landscape with a bunch of astronauts (‘spacemen’) around the base, ready to explore a strange new world. 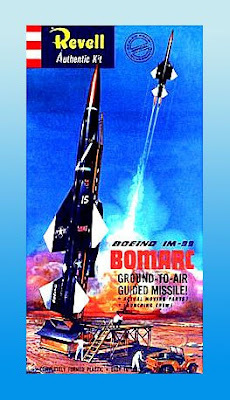 In reality, the Bomarc’s job was to knock out Russian intruders with its nuclear warhead, before they had a chance to drop their A- and H-bombs on US cities. OK, that’s my Rare Revell Fab Five - what are your own choices?